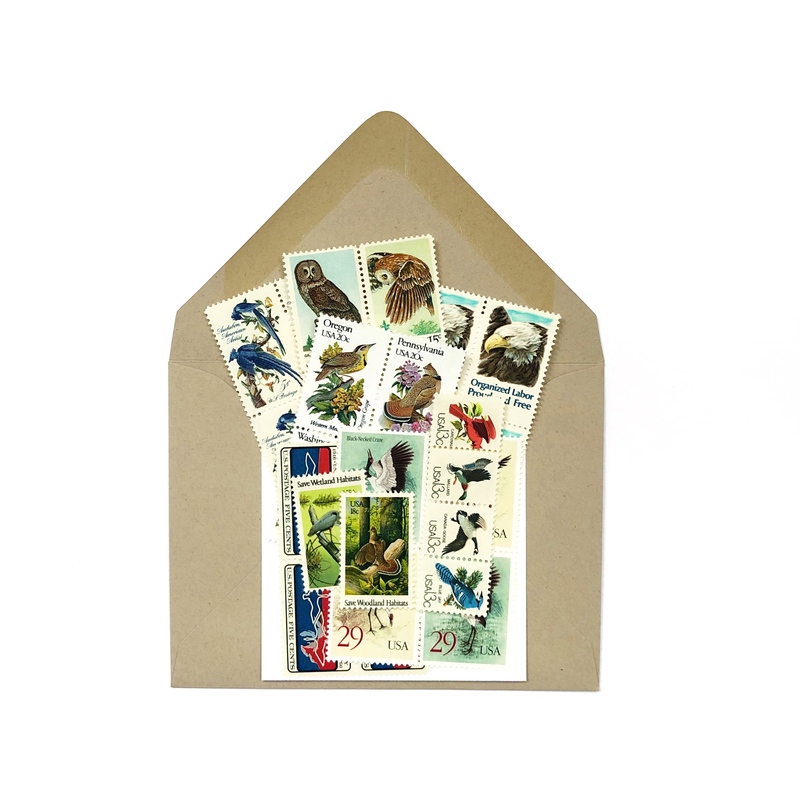 Each pack will include a variety of Vintage BIRD Postages Stamps with a face value of between $4.44. Please request 4 States for your bird state stamps. We will include at least 2 from your list. Includes FREE US shipping.